It was a cold Halloween night in 1963 when six-year-old Michael Audrey Myers brutally murdered his 17-year-old sister, Judith Margaret Myers. He was sentenced to the Smith's Grove-Warren County Sanitarium for his brutal crime. There, he remained locked away and dormant for 15 years. But on October 30, 1978, things are about to change. While being transferred for a court date, 21-year-old Michael Myers escapes. He returns to his quiet hometown of Haddonfield, Illinois, where he follows three young women. 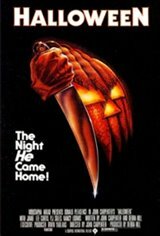 Seventeen-year-old Laurie Strode is a quiet bookworm, preferring babysitting over parties. As she goes about her school day, she finds her mind playing tricks on her. Her friends, Annie and Lynda, are busy thinking about the fun of Halloween night. That evening, Laurie and Annie are babysitting across the street from each other. Laurie has to keep an eye on comic-loving Tommy Doyle, while Annie watches "little Lindsey Wallace," obsessed with the television. Little do they know, Michael Myers has come home to kill. Their only hope is Dr. Loomis, Michael's childhood psychiatrist who has followed Michael's trail back to Haddonfield. Loomis enlists the help of town sheriff Leigh Brackett, who happens to be Annie's father. The duo search the streets, but the bogeyman is close to his prize for the night.